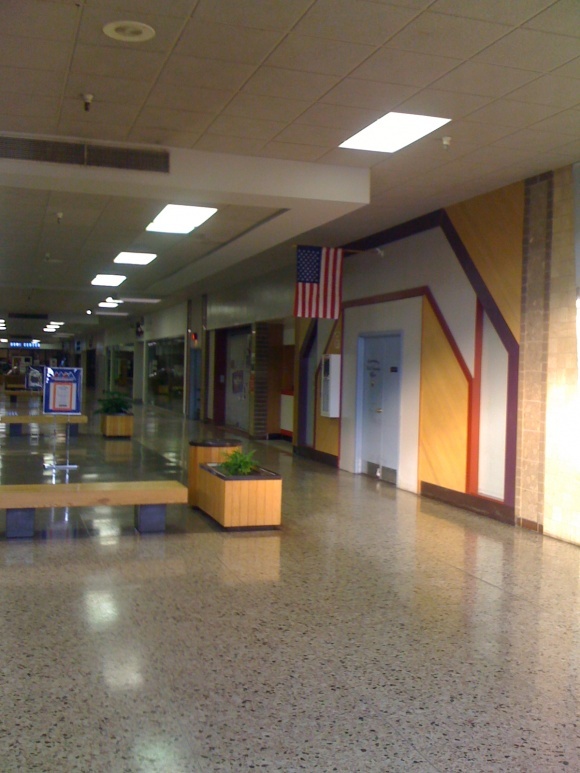 Attention, dead mall fans: this one’s for you. 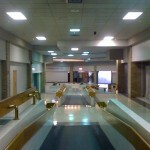 The following gem of a mall is almost completely dead, totally unrenovated and as dated as they come. 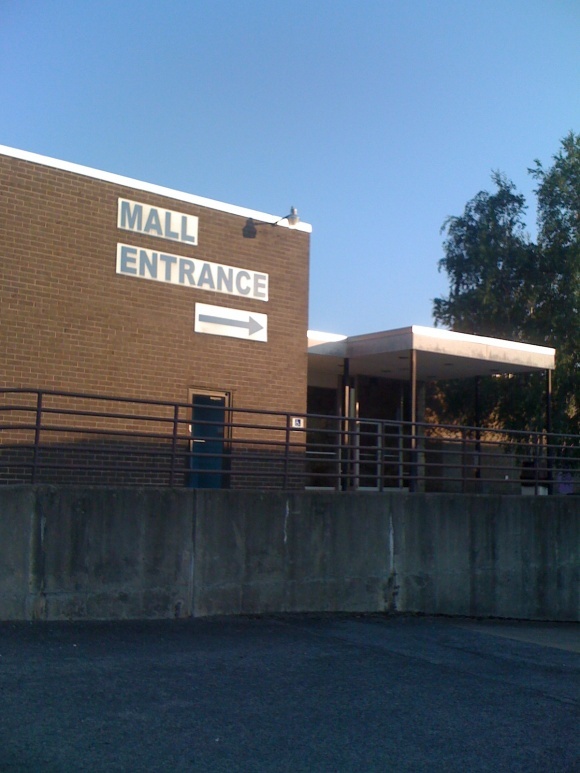 It’s just as interesting as other deadmall icons like Southwyck, Machesney Park, Summit Place, Rolling Acres, Randall Park, or any of those, but hasn’t received nearly as much fan press. 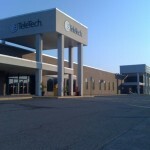 And, as of July 2010 it is still open for regular business with no imminent plans for closure. In fact, this is one of the last ones left of its kind. 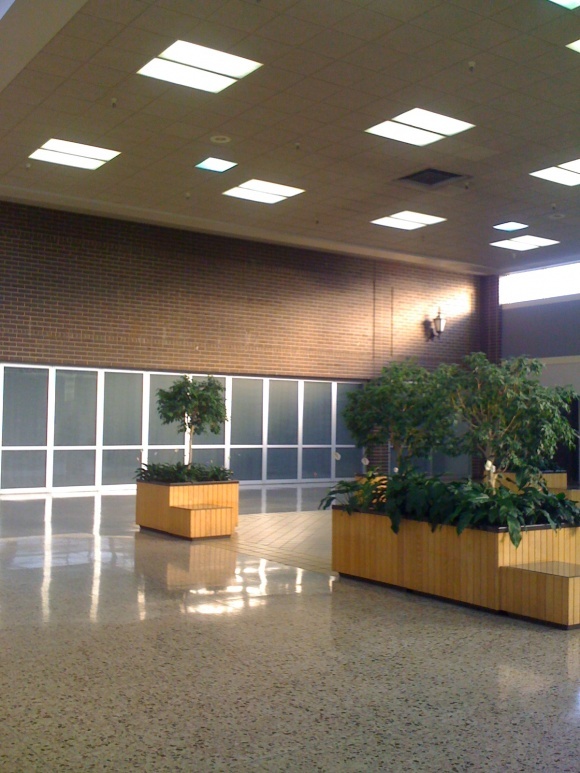 Most dead malls, like all the aforementioned, got gobbled up by the redevelopment machine, or at the very least closed their doors permanently and sit waiting for the wrecking ball, so getting inside for a tour isn’t within reach. Nope, friends, this one is open for business, 10-9 weekdays and Saturdays, and Sundays noon to 5. Not only this, it’s only a few hours from the Mid-Atlantic states and a day’s drive from nearly anywhere east of the Mississippi. I’m talking about Mountaineer Mall. Located in Morgantown, West Virginia, Mountaineer Mall is the kind of mall dead mall fans dream about, with all sorts of retail antiquities and dated accoutrements. We’re talking about wooden railings with tarnished, aging brass fixtures, brick facades, tile- and wood panel-laden planter fixtures, intact dead store facades from 20+ years ago, and more. 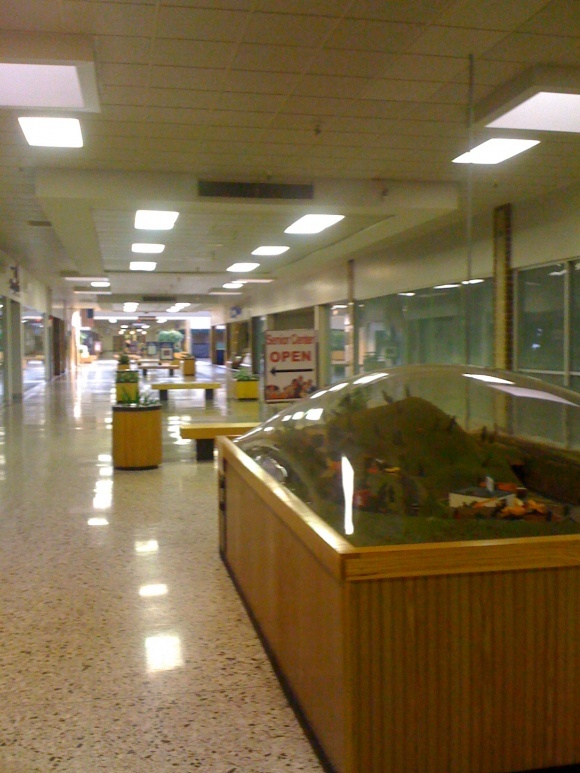 Mountaineer Mall was once the dominant – and only – mall in the Morgantown region. Located 70 miles south of Pittsburgh, Morgantown is home to West Virginia University and has the healthiest economy in the state. It has a population of around 30,000 residents, which nearly doubles when the University is in session, and a metropolitan area of 115,000 to boot. Morgantown has a quirky, progressive college town feel, and with its low unemployment and unique culture feels mightily juxtaposed to the rest of the state, or anywhere for that matter. One example of this is the fact that the small city has its own rail-based mass transit, a people mover called the Morgantown Personal Rapid Transit system, which connects downtown Morgantown to the WVU satellite campus located a few miles away. 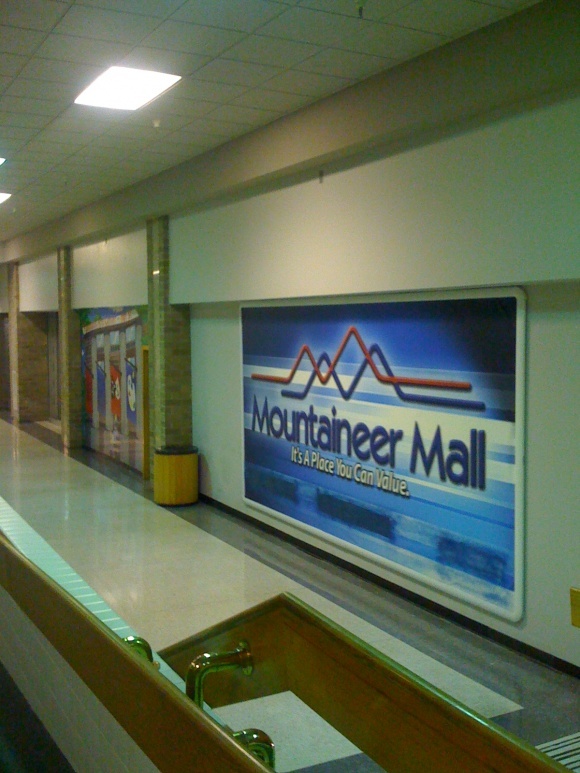 Mountaineer Mall originally opened in 1975 on a bluff, high above the Monongahela River, on the south side of Morgantown. It had a goal of capturing local shoppers who were forced to drive either to Pittsburgh, where the closest major malls, South Hills Village and Century III Mall, were 60 miles away, or down to Fairmont, where the tiny Middletown Mall sat. 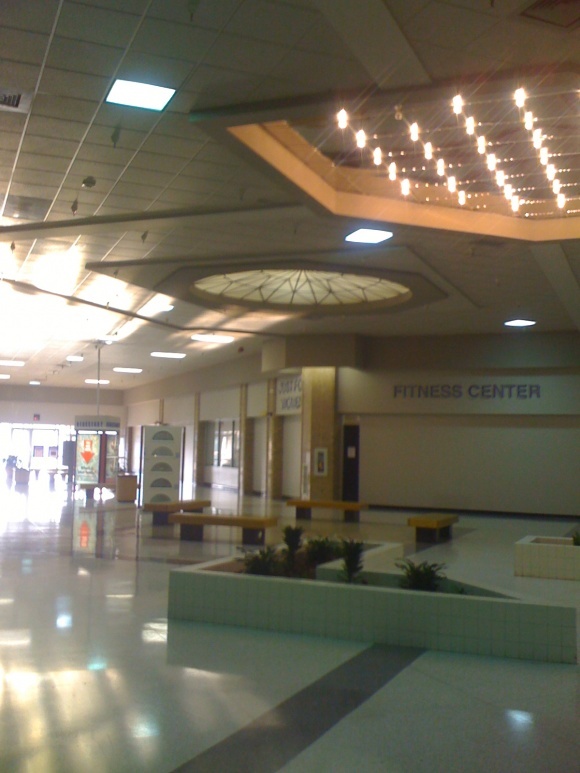 Anchored by JCPenney, Montgomery Ward, and Murphy’s Mart, Mountaineer Mall had a simple dumbbell shape when it opened. Murphy’s Mart was the western anchor closest to the river, JCPenney sat adjacent to center court, and Montgomery Ward flanked the eastern end of the mall; an enclosed corridor with stores on both sides connected all three anchors. 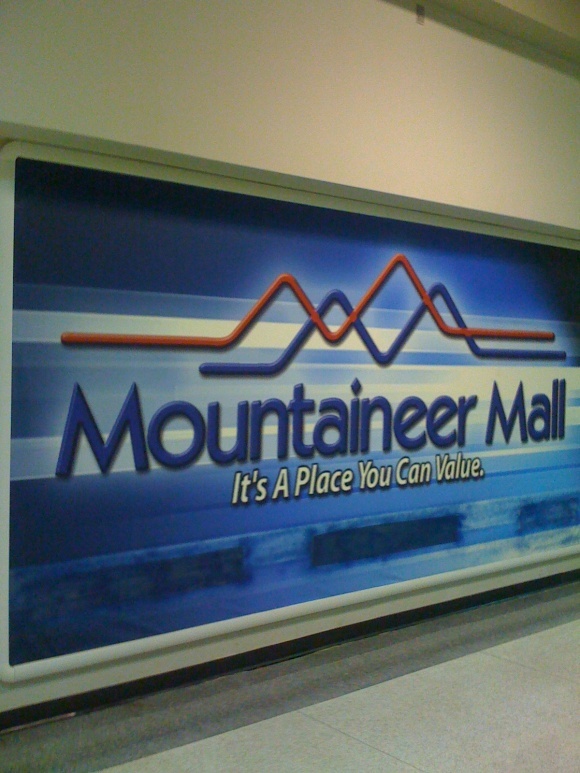 Even though Mountaineer Mall was small, it became immensely popular and gained a loyal following in the late 1970s and early 1980s. 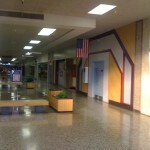 Too soon, though, Mountaineer Mall’s owners realized the mall was too small to serve the area, and embarked on an expansion in 1987, adding a fourth anchor, Stone and Thomas, and an additional hallway connecting it to the mall. 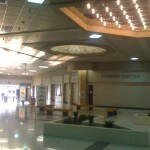 This gave the mall a T-shape once the renovation was complete. Meanwhile, an anchor change took place around 1985, when Murphy’s Mart became Ames. 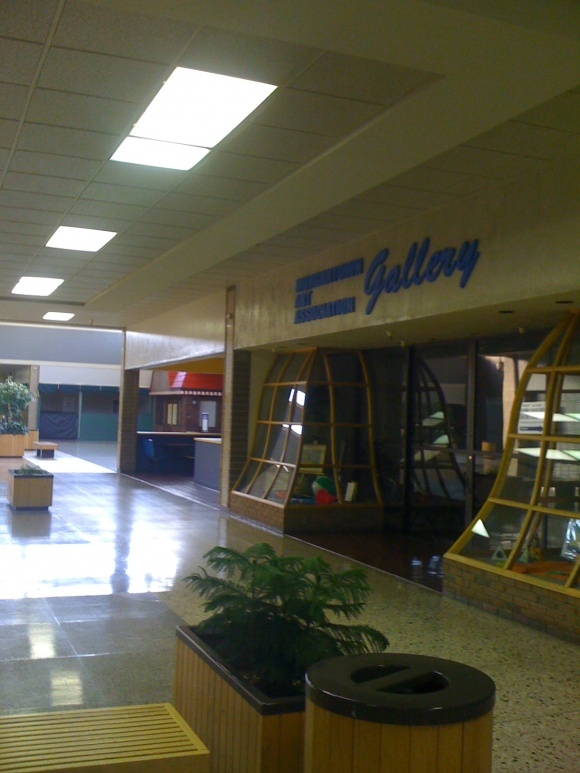 The new addition, with its late-80s appearance, featured smart looking brass fixtures, fake skylights, and a brighter look than the rest of the 8-year-old mall. In addition, due to the natural topography of the site, the developer chose to build the addition on a slight incline, giving the mall corridor a handicapped-accessible carpeted ramp down the middle and stairs flanking either side. This is definitely, by the way, an amazingly unique design feature, which seemingly gives the mall not only an extra dimension of space but also a disjointed, frankenmall-like weird quality. The new addition also brought stores with only exterior entrances on one side, which ironically house most of the stores still in operation today. 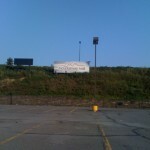 Unfortunately, Mountaineer Mall’s time in the sun was short-lived. Three years after the addition, in September of 1990, Mountaineer Mall’s luck ran out when competition came calling from the brand-new, $70-million Morgantown Mall, which opened across the river, just two miles as the crow flies from Mountaineer Mall, but farther via roads. The new 557,954 square-foot mall was anchored by Sears, JCPenney, Elder-Beerman, and K-mart. 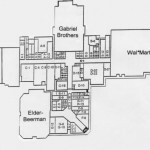 JCPenney chose to immediately bolt to the new mall when it opened in 1990, but Elder Beerman kept a location at both malls until 1998. 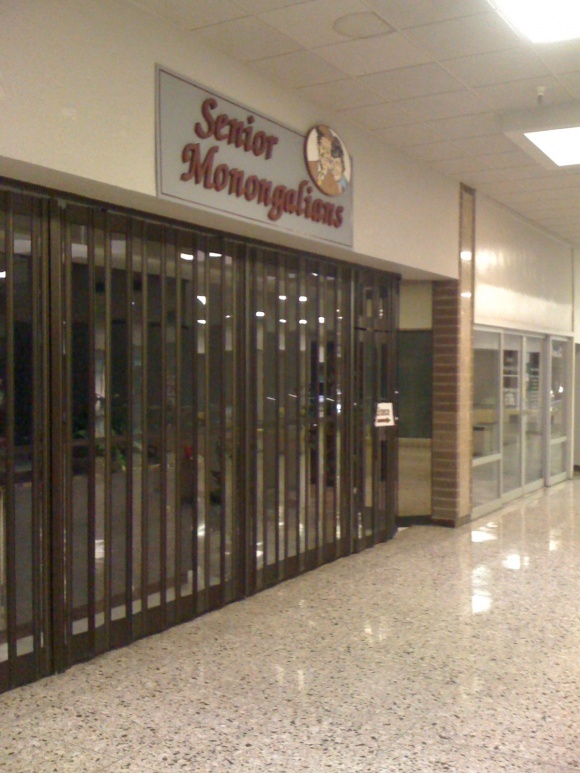 Not only was Morgantown Mall larger and newer than Mountaineer Mall, it was better located along Interstate 79 to serve customers from outside the area, such as Washington County, Pennsylvania. After the loss of JCPenney, Mountaineer Mall soldiered on, eventually replacing the former JCPenney space with U.S. Factory Outlets in 1993; however, anchor changes occurred until the end of the 1990s. In January 1994, Ames, who had another location in Morgantown, was replaced with a 126,000 square-foot Wal-Mart, the first in the area. The popularity of Wal-Mart routinely filled the parking lot to capacity, and the mall soldiered on against its newer cousin across the river. U.S. 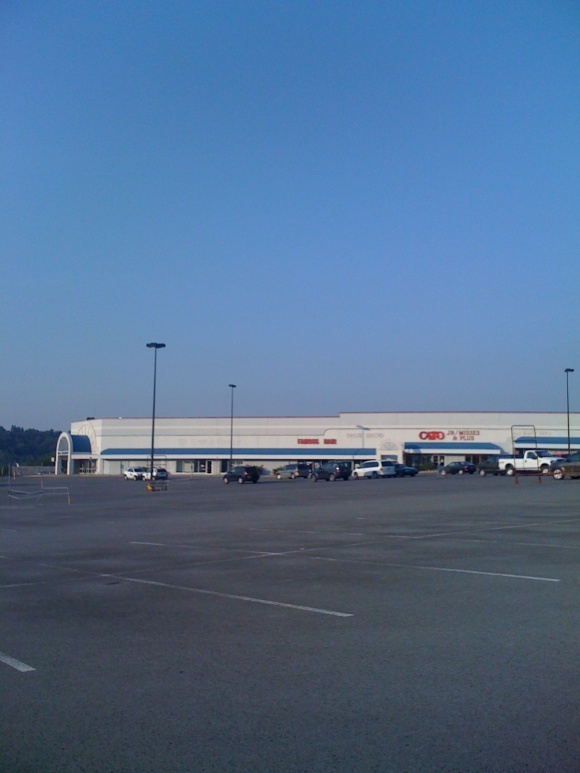 Factory Outlets eventually closed and was replaced by Gabriel Brothers, a regional off-price chain based in Morgantown. Then, in 1998, Stone and Thomas went broke and was forced to sell out to Elder Beerman. 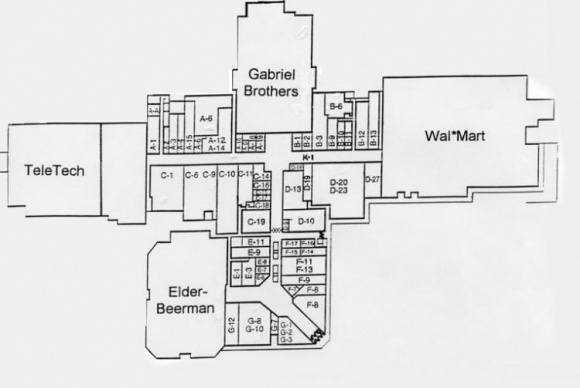 Somewhat surprisingly, Elder Beerman chose to continue operating in Mountaineer Mall after the acquisition, despite already having a duplicate store two miles away at Morgantown Mall. 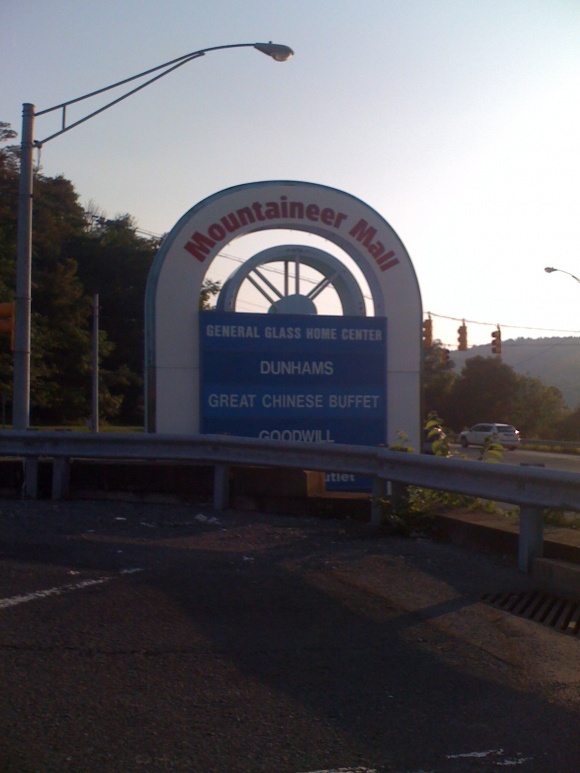 The first decade of the new millenium was extremely unkind to Mountaineer Mall, as the mall lost all four of its anchors, three of them in short spacing. 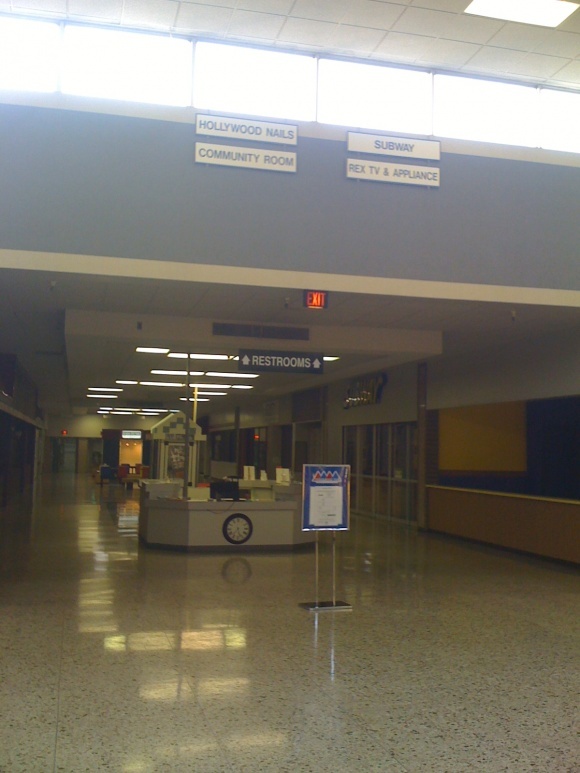 In 2000, Montgomery Ward announced it was going out of business nationwide and closed the last remaining original anchor at Mountaineer Mall. 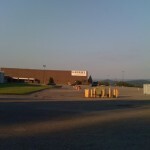 The next anchor to depart was Wal-Mart, which abandoned the mall due to a non-compete agreement with grocery store Giant Eagle that barred it from opening a Supercenter with grocery on the site; it closed in October 2006, the same day two new Supercenters opened elsewhere in Morgantown. 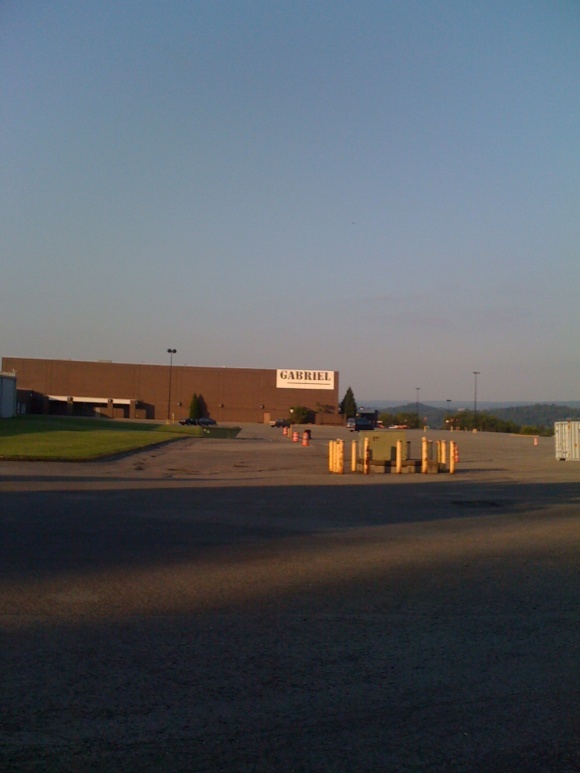 About the same time Wal-Mart jumped ship, anchor Gabriel Brothers, which is headquartered in Morgantown, opened a brand new store across town, and began to offer fewer items at their Mountaineer Mall location. 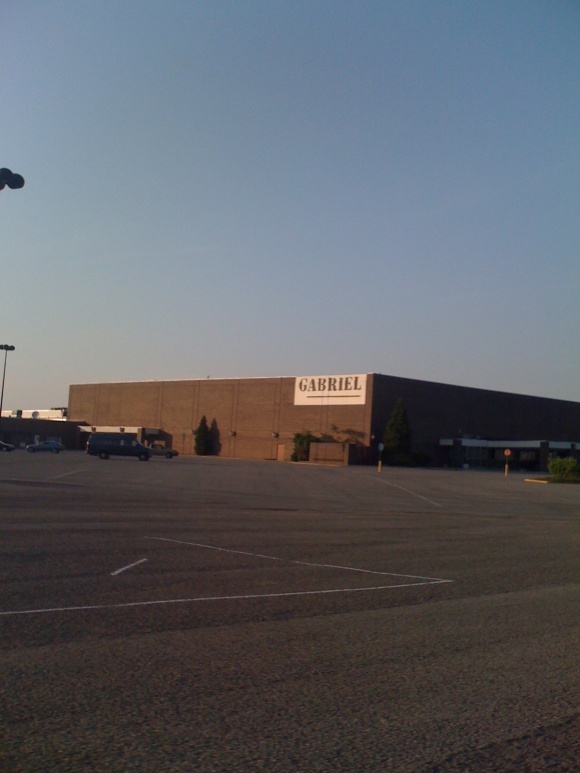 After over a year of progressively emptier shelves, it became apparent that Gabriel Brothers was slowly abandoning the Mountaineer Mall store, and it finally closed in 2008. 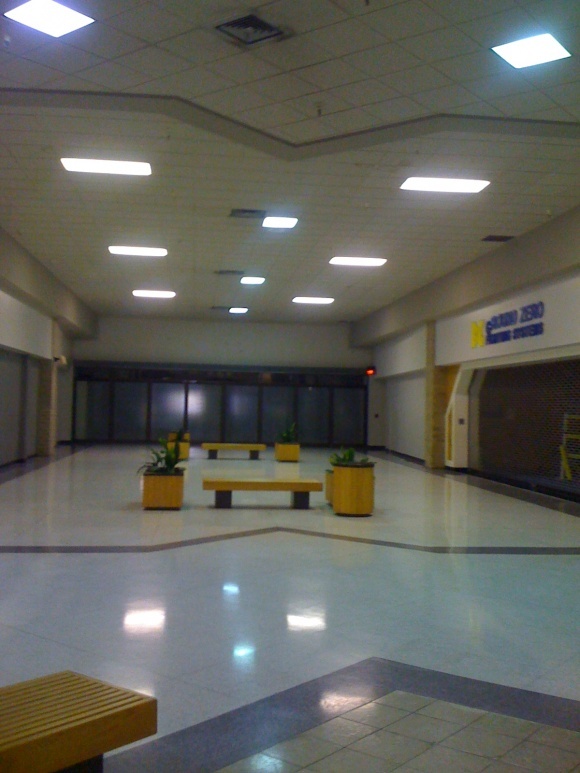 Elder Beerman, which surprisingly stayed at the mall for ten years despite having a redundant store in Morgantown Mall across the river, also closed in 2008. 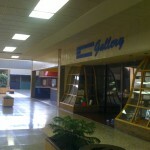 In a span of less than two years, Morgantown Mall went from having three anchors to having zero anchors. At the same time, many in-line stores cleared out as well. A listing of stores from 2001 can be found here via the wayback machine – sadly, many of these are now gone. 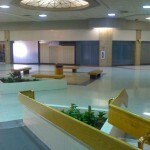 As of 2010, the only stores remaining in the mall are listed here. 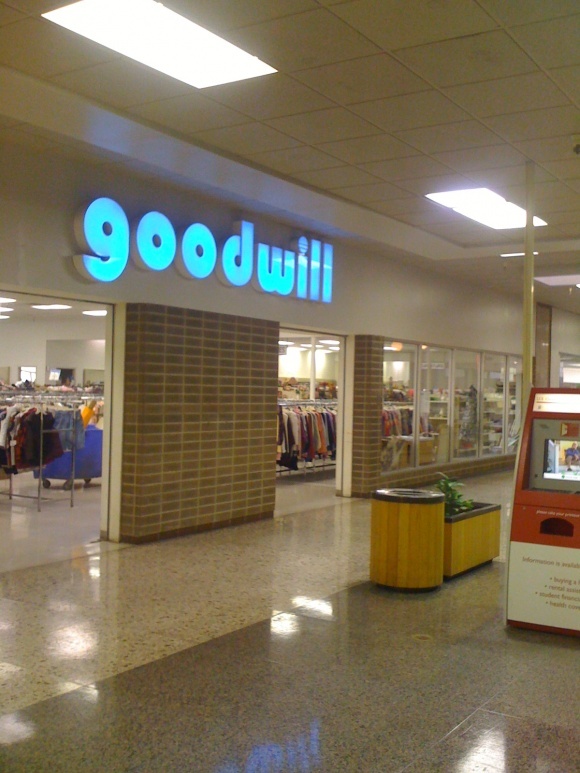 Of these, many are either in outlots, like Giant Eagle, Georgia Carpet Outlet and Dunham’s Sports, or have exterior entrances, like CATO and Goodwill. 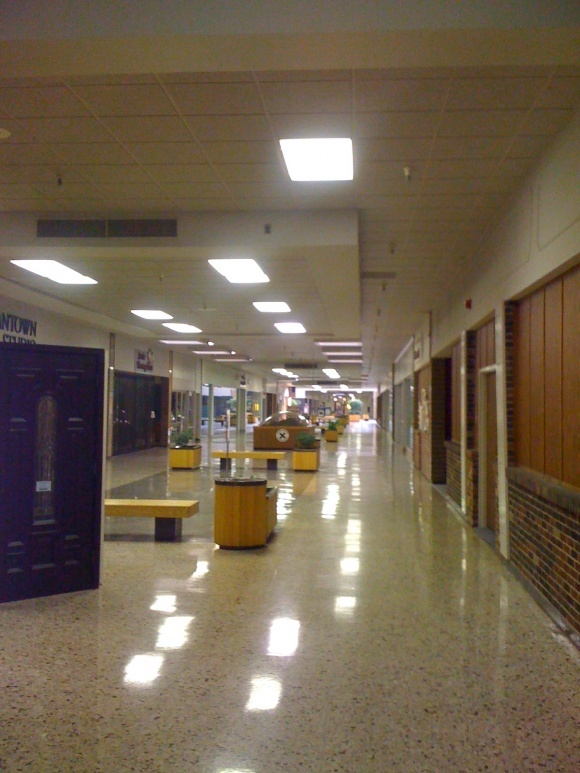 A hair salon, Subway, nail salon, and some non-profit service organizations operate within the mall, as well as a pizza parlor and Chinese buffet. 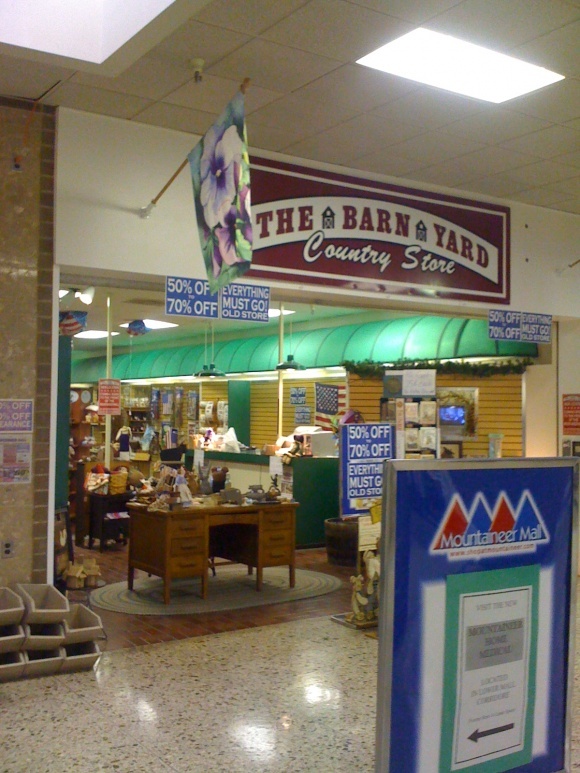 A local country and craft store, The Barn Yard, also operates in the mall, but unfortunately is closing tomorrow (7/21/10); however, they are relocating and will reopen in August. 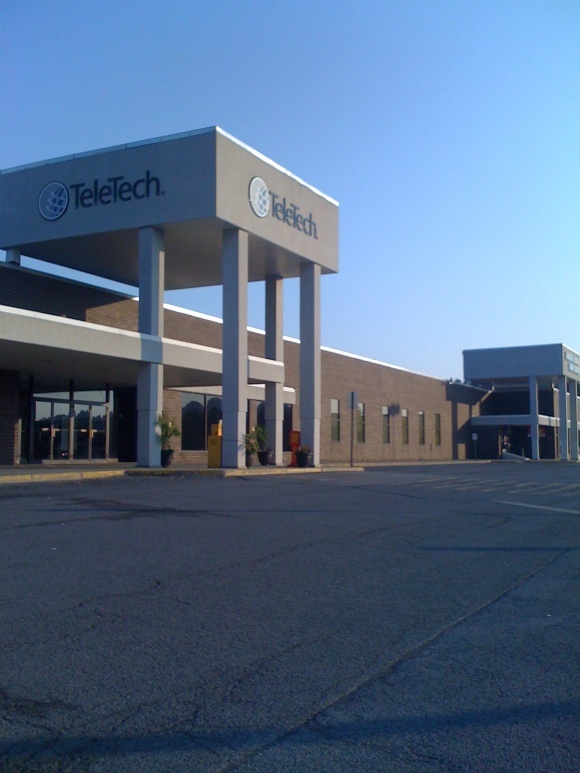 Mountaineer Mall’s website also indicates a transition from retail to office space, which began a decade ago with the retenanting of Montgomery Ward with a TeleTech call center and a building supply outlet. 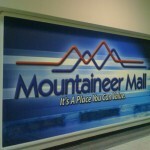 Elsewhere on the net: Visit Mountaineer Mall’s Facebook page, and a great Flickr set by Andrew Turnbull. 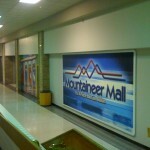 We visited Mountaineer Mall in July 2009 and took the pictures featured here. 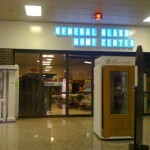 You forgot to mention that the Wards became a General Glass Home Center and a call center. Also, that list of stores from 2001 is amazing. It’s hard to believe that a dump like this still had a Sam Goody a few years ago. And considering the places I’ve seen Subway bail out of, the presence of a Subway here is nothing short of amazing. Pic #16 – yet another one of those fancy storefronts (Brooks Brothers, I think) that appeared in a few other malls, including the Manitowoc malls. I’m pretty sure Subway counts on the call center/office workers almost exclusively. It was randomly closed when I visited, even though the mall was still open, around 7pm. @Prange Way, My bad. Didn’t see it. Some fast foods are indeed open only from 11-3 to get office traffic. @Prange Way, @Bobby P – Subway closed. Although a new country-cookin’ restuarant opened in the old Wiener World location. I’m not sure it will last much longer either, though. Mylan Pharamacueticals has taken the old JCPenny’s/Gabriel Brothers location and will undoubtly soon own the whole mall. “Smart looking brass fixtures” ? I don’t know, this place looks like a total dump. I’m amazed the 80’s addition looks as bad as it did. @alpha, I was mostly being facetious… the place is obviously horrible, but also horribly amazing when viewed through today’s lens. @Prange Way, What a spot for a Ghostbusters remake. @SEAN, Judging from the website design it’s owned by Jager Management,which also owns Fairgrounds Square Mall and Burlington Center, both of which have also been featured on this site. 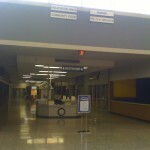 Jager also used to own Northland Center in Detroit. @Bobby P., Enough said… right? I don’t think Jager owns it anymore, but they did at one point. This is one funky mall! One correction @ Booby P.: that storefront is Brooks Fashions, not Brooks Brothers. Brooks Fashions was a women’s sportswear chain that was massively popular in ’70s and ’80s malls. That looks like one crappy mall, reminds me of the Washington Mall in nearby Washington, PA, which you had covered and experienced that god awful experience with the security guard, hopefully it went more smoothly here. 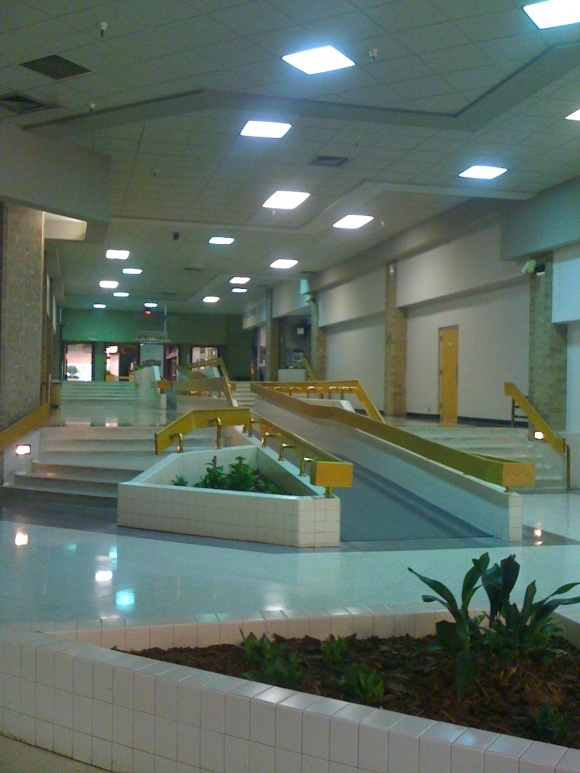 The ramps and stairs also looks similar to the labyrinth setup at Century III Mall in Pittsburgh, which is also dying. @Gary, Precisely what I was thinking. 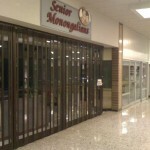 Although the Morgantown Mall is a vertiable ghost town – other than the senior citizen mall walkers, the Washington Mall is a creepy step back in time. It actually reminds me of the mall in the video game: Grand Theft Auto – Miami Vice. One more observation: It looks like parts of the Stone & Thomas wing were never occupied. Is this an accurate observation? Some parts of the new addition were never occupied…some even have the original gravel floors inside. Morgantown’s PRT is actually not a rail system. Its cars have tires and utilize a “guideway” – a little road with electric contacts on the sides, essentially. Very familiar with this old mall. One thing I do want to correct is that Morgantown Mall is a bit farther than 2 miles away. The road system in Morgantown doesn’t connect all that well. It would be 6-7 miles to Morgantown Mall using the interstates, half that riding 119 into the city and taking 19 out to where Morgantown Mall is. If you’re riding up 119, you’d have no idea that Mountaineer Mall was even there. 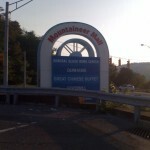 Route 857 splits off, and the Mountaineer Mall is on the hill once you go up a steep-sloping, curvy stretch of a few hundred feet. The Dunham’s/GCO was originally a David Weis catalog showroom that closed in the early 1990’s. They were based in Pittsburgh, and this was probably their only non-PA location. As for the mall, JCPenney left immediately, pretty sure of that. I can vaguely remember US Factory Outlets being a hodgepodge of random merchandise, and not having any customers. 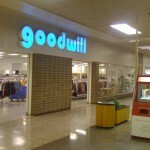 It very much retained that older dark JCPenney lighting of the past. I almost remember an escalator shaft to a second floor, but it’s been forever ago. I know when it was Gabriel Brothers it was removed, if that was the case. The in-line space as I last remember it included Sam Goody, Subway, a Dollar General, the Goodwill, a few local restaurants that remained very dated, and a local jewelry store. 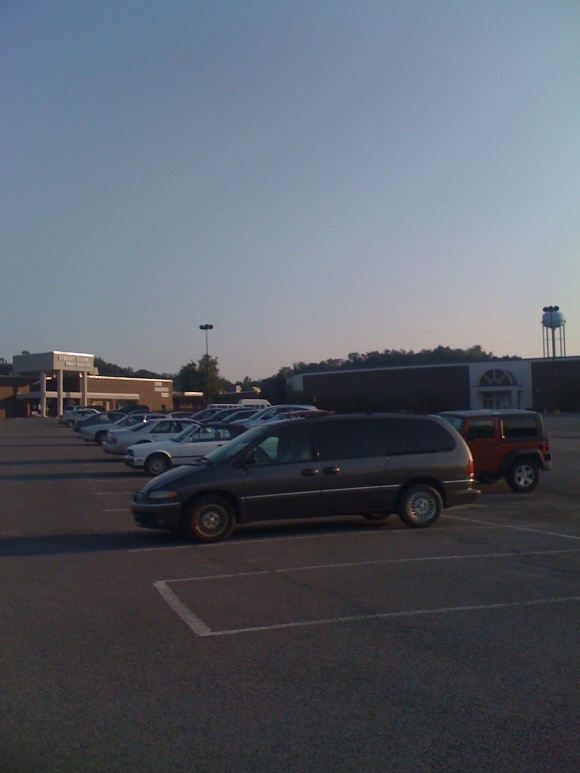 This was right before Wal-Mart left for the replacement Supercenter in 2006 below 68. The stores lining the outer part of the center was a change made in the mid-90’s, and likely a mistake that helped expedite the mall’s death. 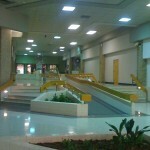 The mall made that change after Wal-Mart came to make it feel like a shopping center independent of the mall. The end result was that the outer entrances got more traffic than the mall’s entrances. Most of those stores along there had both. Before that, the section looked very different. There’s very little reason to go up there unless you’re going to Giant Eagle. And even then, Giant Eagle added another store at University Town Centre, the big power center on the next exit beyond Morgantown Mall off I-79. And Morgantown Mall is definitely not 750,000 sq. ft. unless you count Super Kmart on the hill. 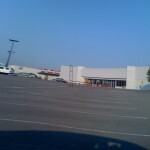 Kmart was originally in the mall and bolted to the plaza to the north in 1997 for the Super Kmart. Proffitt’s, then Belk, took the space to glam the mall up a bit. @Daniel, Glimcher lists Morgantown Mall as 557,954 square feet, so I’ll go with that, even though other articles list it as more. They probably do indeed count the stuff on the outlots, which I think is kind of goofy in most cases. Not sure about the escalator b/c I don’t remember there being a second floor open to customers, but I was told there were offices upstairs, so maybe that’s it? 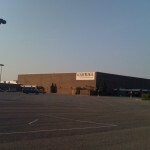 @Laura, on the Jager website, they had a lease plan for the mall as well as pictures of many of the units, including the former JCPenney/Gabes. 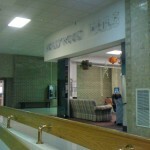 One picture was of the lower level sales floor, and another one was of the upper level, which looked completely gutted. Huh….interesting. Need to check that out. I still don’t remember a second floor open to customers, but sounds like the office theory might apply. I used to work at Penneys. No escalator at all and no upstairs for customers. 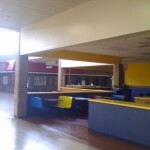 The upstairs referred to was store management offices and the employee break room. It was a small area. 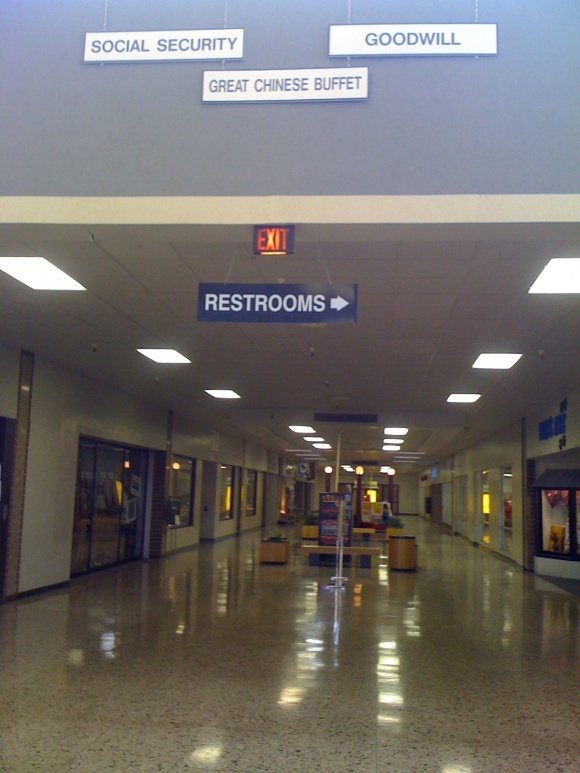 There was also a public restroom in the back of the store, but it seems Gabriel Bros. did away with it when they took over. 2nd floor was definitely never open to customers. @Daniel, Two miles as the crow flies is what the article said. Alas for the MM. I remember it in it’s heyday….The center court with Wiener World and (the eternally dark) Lums cranking out food….Funway Freeway Arcade, which saw the transition from traditional arcade fare to the first video games (1st place i encountered Pac-Man)…… Sam’s Pretzels…..Jo-Ann Fabrics….National Record Mart (was that the one Can’t remember for sure, but i still have the mini-bubble gum Stones albums i bought there)….. Coles Bookstore, which seemed so huge at the time…. The theater where i saw the premiere of Empire Strikes Back….It was always so exciting getting to go to THE mall with my family (also gone)…. All gone……Lost in the Seventies…..
Record Bar was the name of the store, at one point. Was it a NRM at one point? That sofa in the next-to-last picture is hilarious! You’d think they could at least get a $199 new sofa at Wal-Mart or Ikea, if there is one, rather than using that sofa, which reminds me of one in my house in the mid-1970s! I know, that struck me too. 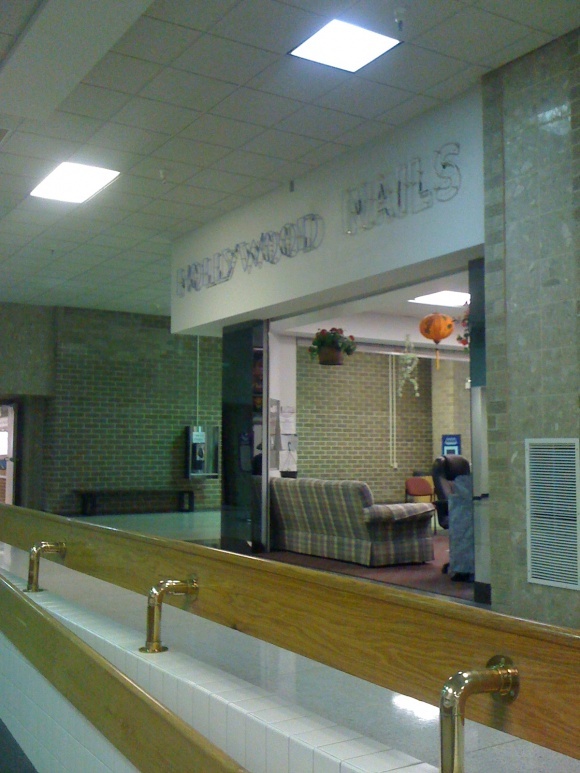 Hey, the nail salon can’t afford to fancy if it’s in this mall. It seems they repainted the Wal-Mart white. 557,954 sq. ft. sounds about right. All the anchors at Morgantown Mall are fairly small. 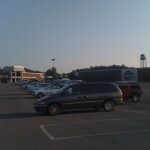 Belk is the biggest probably because of Kmart (around 90K). I know the Sears is less than 80K, the Elder-Beerman is probably in the 60’s. I’d venture to say the Mountaineer Mall JCPenney was a lot bigger than the one at Morgantown Mall. And I didn’t think of this when I made my post last night, but are we absolutely sure it was Murphy Mart? I was really young the first time I was there, and while Ames was there, it sure looked like an ex-Zayre. Take the memory of a child and being 20 years ago as a grain of salt though. I find the Social Security Office in the Featured Mall Merchants box at the bottom of the official mall website to be pretty hilarious. Morgantown having the healthiest economy in the state? That is true but still those are actually “fighting words” for Martinsburg ( a small city in the Eastern Panhandle of WV ) who for years had always considered their town to be the “healthiest”. Funny when Mogantown Mall opened up, actually whatever Morgantown got anything Martinsburg was always jealous even though there is a rather large amount of driving time between the two. Oh and Martinsburg has had their share of retail woes. Besides having a dead mall ( Martinsburg Mall ) for many years a number of big box stores and restaurants refused to do business there mainly over Kohls and some rather bizarre demands placed by Martinsburg ( very long story..almost like an episode of ‘Days of our Lives ! !” ) over the store. 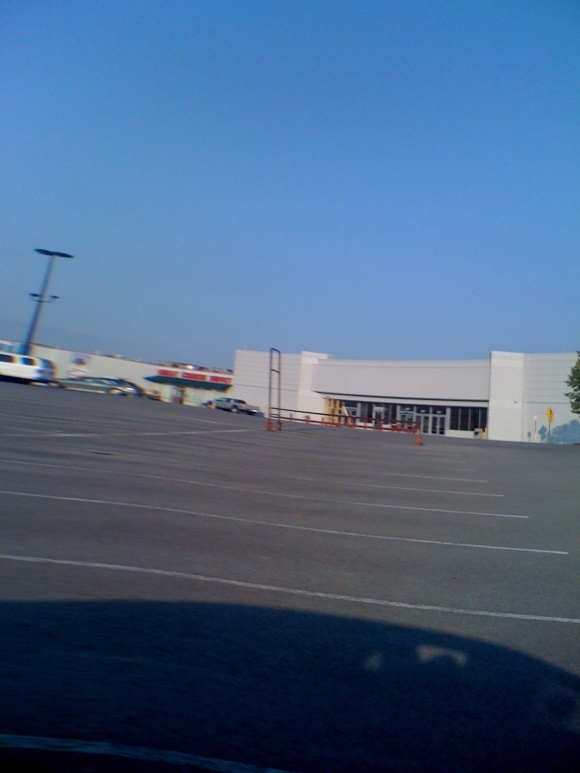 Kohls never did open up in Martinsburg. But Martinsburg is somewhat on the rebound as they finally got their first Target, Best Buy and a few other chains within the last year but still that Martinsburg Mall is on life support…just like Mountaineer Mall is. Martinsburg and Morgantown have some similarities in that both were very slow to get things. In many cases, they both still are. While Morgantown has a ton of retail on the surface, it’s still to be noted that Kohl’s, Home Depot and Staples have never arrived. Kmart didn’t come until the store was built at Morgantown Mall that I’m aware of. OfficeMax was in Morgantown, but left. Even something like AutoZone isn’t in Morgantown. 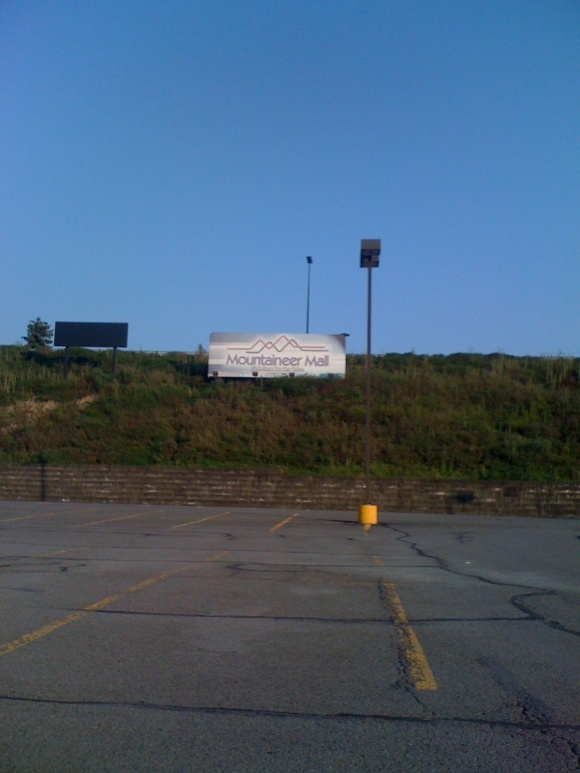 And I searched for the Facebook page for Mountaineer Mall, and it’s nowhere to be found. I wonder if this is a sign they’re finally throwing in the towel. @Daniel, Kohls is coming to the University Town Centre, Staples is rumored to be coming to the Suncrest Towne Center and Home Depot was edged out by two Lowes in the market. Never mind. Found it. I’m forced to eat my words. Now that I think about it, wasn’t the Zayre newer and up by 68 back off the road? That’s back where the Gabriel Brothers HQ is. And also it should be mentioned Giant Eagle apparently was originally in the parking lot at the top of the mall before the expansion, not where it is today. Never realized that. Would LOVE to see a picture of the old Giant Eagle. @Daniel, Giant Eagle was in the parking lot, directly in front of where the Walmart was, with the front/entrance facing towards where they built the new addition. They moved down the hill before the addition was put on the mall. If it was still there when the addition was done, there would have been a very narrow passageway between the end of the addition and the front of the Giant Eagle store. The left side of Giant Eagle would have been parallel to the front of the Walmart (and the former Ames/MM), but would have been 150 feet or so separating the two. Walmart also rebuilt that side of the mall, and was not in the same structure as Ames, they tore down Ames and rebuilt the current anchor building. Zayre’s was never in Morgantown. Though there was one in Castle Shannon, where I originally grew up. 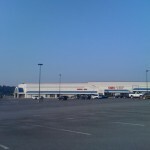 Morgantown didn’t have a Kmart until the “new” Morgantown mall. It did, however, have two stores called Hecks, which were somewhat similar to Kmart. One was across the interstate from the Morgantown mall and was where Big Lots is now, the other was in Sabraton in a strip mall which is now a bunch of smaller stores, including Family Dollar, Rio Grande, etc. Hecks going out of business was likely one of the reasons Kmart finally came to town. Wow! 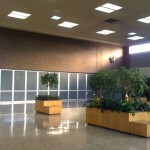 I find this so interesting….I’ve seen an article on DeadMalls.com about the Mountaineer Mall but this one is Brand Spanking New! 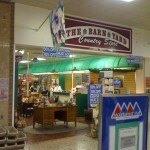 I owned The Barn Yard at the Mountaineer Mall til just about 3 days ago. I can go on and on about the stores and what was there from the 70’s til now but maybe I’ll post that another time! I’ve lived in Morgantown my entire life just about 4 minutes from the Mountaineer Mall and have many wonderful memories of this place! My decision to move my store to the Mall in 2007 was a personal decision. I wanted to show my support to this Mall and I knew my customers would follow me wherever I went! I had a lot of excitement Moving first into the Old GMC location directly across from Goodwill in 2007 and as I opened …my sales stayed steady and I was very happy! I’ve been very familiar with the the Owners of the other stores and know so much of the In’s and Out’s of this wonderful Mall for quite some time before I even moved here! I even knew the Manager Terry Hall for years prior to coming here but what I didn’t know is what type of company Jager Management was. I have respect and like all the people that work on location managing this Mall including Terry Hall’s replacement as New Manager …Kathy Linton. 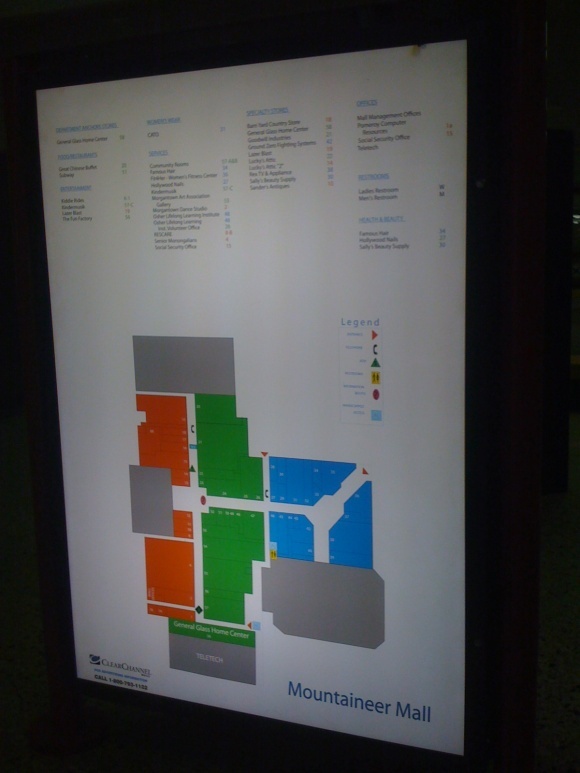 The trouble with this Mall is not location Nor Unfavorable storefronts…. I believe it is Solely the fault of Jager Management. I really would not even begin to speak negatively about an Individual or Corporation but I had to write this because of how bad is was to deal with them! I’ve been a business owner since I was 19 and have had my business in Morgantown the entire time….I truly did come to the Mountaineer Mall to support it and had always felt like I had one foot out the door the entire 3 years I called my store home there! You would think an owner of a struggling Mall like the Mountaineer Mall would be very thankful for any business to come there…but that wasn’t the case. I started having issues the moment I got there starting with them telling me that Elder-Beerman was staying…I was aware of Gabriel Brothers leaving but felt comfortable knowing that Elder-Beerman would still be there. But we know what happened there. I also began to have issues with some of the Security which is supposed to be there for the Tennants and Shoppers not to harass their tennants…the Management did nothing. As time went on I still had good sales but wanted to move to the Front of the Mall next to Cato’s…this would have been last August 2009. Again I was very happy to be able to have an outside entrance to be able to enter my store after Mall hours. I put a lot of time and energy into that spot and I opened in late August 2009. The day after I opened I was attacked in Downtown Morgantown and had severe facial fractures and instantly had to close my store down til almost late November. So it clearly wasn’t a great start. This is when I started to have major problems with them. Because of what happened I clearly wasn’t able to be open nor be there to be able to have my sign installed. I can go on forever about how bad it was but I’ll end there. I’ll just say they were not sympathetic. Fast forward to Late May…I was very happy things have calmed down for the most part and I healed and was looking forward to seeing Mylan take the old Wal-mart space and there were some new businesses coming in. Roughly the first week of June I received a Voice mail on my answering machine that they were going to Raise my rent by a large amount. 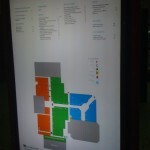 I could not believe that a Mall that is having so much trouble keeping their tennants have the nerve to do that! So there in a Nut Shell is one example as why this Mall is Dead! I would like to say that this Mall holds a special place in my heart and I really did love my store there! Unfortunately the management is not one to care about anything but the bottom line! Ah, the memories! I still have pictures of Santa’s workshop and the railroad tracks they would set up in the middle of the mall. I loved getting Coke with cherry syrup (before Cherry Coke came out) at the restaurant inside Murphy’s. My sister cried both times we went to see E.T. in the theater. And I still wish I had seen what was behind the “21 and over” curtain in Trends. I grew up (forgive the phrase) within spittin’ distance of the mall and am sad every time I go up there. It really was the place to be. 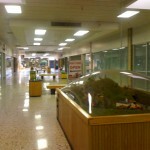 Oh, a funny side note that I didn’t see mentioned in any posts–Morgantowners consider the Mountaineer Mall “the old mall” and Morgantown Mall “the new mall” even though the latter is over 20 years old! Are you on Facebook? 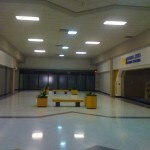 Join the group I Remember When Mountaineer Mall Had Stores and WAS a Mall and add the pics onto the page!! What memories this all brings back! The MM was the happening place in Morgantown for quite a while. I had the pleasure of working at JC Penneys in 1988/89 and JoAnn Fabrics 1997, and I was very briefly employed at Lums and Weiner World back in the very early 80s. It is really a shame how it all went downhill. I always suspected it was the management at fault. Maybe I’m just sentimental, but I still go there and when I walk through the mall, I can remember many of the old stores; Thrift Drug, Kinney Shoes, Lerners, Fashion Bug, and alot of others that were there briefly, like Cinabon and the pet store. I can’t get past the odor there, although its not the worst smelling dead mall I’ve been in. I give that award to the Rehoboth Beach Mall in Delaware. THANK YOU for covering Mountaineer Mall! (Thanks for the set link, too!) I lived in Morgantown from 2003 to 2007, and this was obviously one of the shopping options I had at my disposal. Sometimes I’d ride there via bus on a weekend, spend an hour browsing Gabriel Brothers, Goodwill, and Sam Goody, then go home. 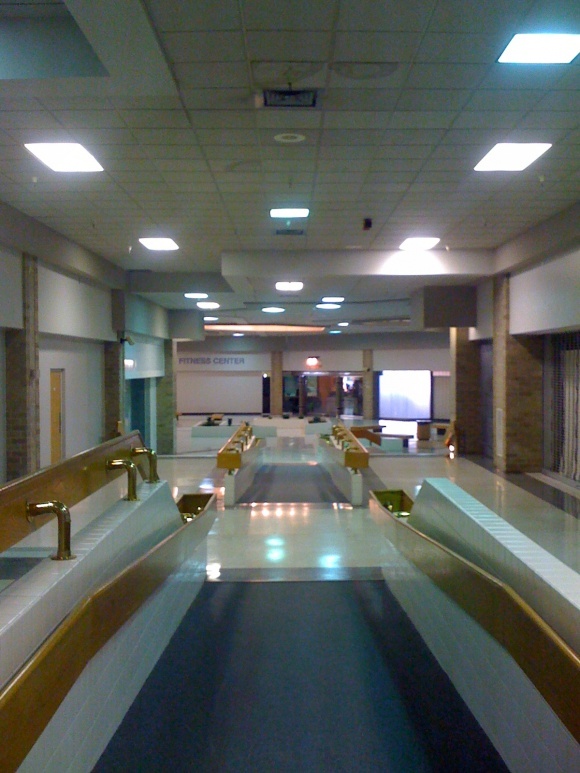 The mall felt “dead” to me seven years ago; and the place still had three anchors, a decent number of tenants (albeit mostly B-level in scope), and a thin but steady flow of foot traffic then. I can only imagine how eerie the place is today. A few comments and clarifications: Ames had no presence in Morgantown after they closed their mall store until they “bought” their way into the city again via their Hills acquisition in the late 1990s. I’d assume their Morgantown Mall location closed due to bloodletting in the midst of the firm’s first (Zayre-induced) bankruptcy. Wal-Mart drew hordes of people into the parking lot; but I recall there seemed to be little crossover of shoppers from WMT into the actual mall. This mall is a veritable time capsule, with intact storefronts from chains like Brooks and Lums that had kicked the bucket many years before. (The Lums space had been abandoned for so long that, last I checked, there was still a dusty cigarette vending machine inside from the days when smoking in malls and restaurants was acceptable!) There was also a very narrow storefront in the west wing with a P-shaped window configuration. Might this have been a Pearle Vision Center? 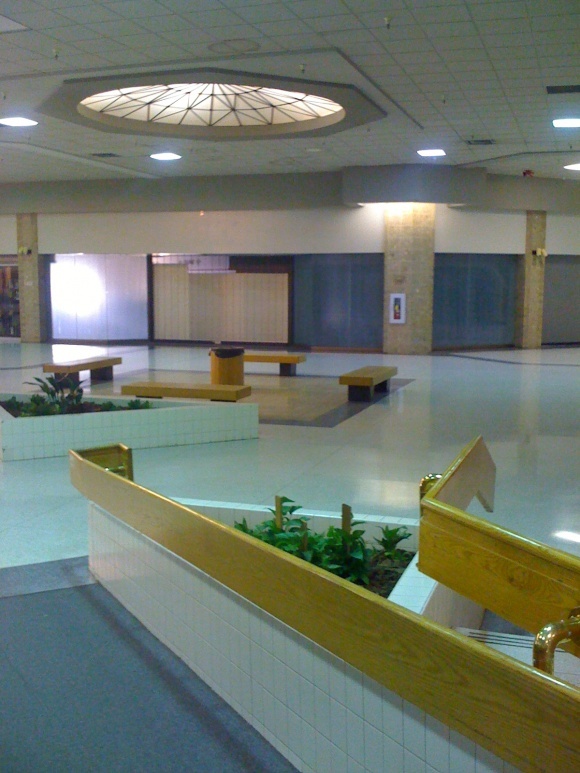 An odd characteristic I remember was that the mall actually contained TWO former Foot Locker storefronts inside (with wood paneling and overhead Reebok-Adidas-Nike logos): One in the original part of the mall (visible in picture #28), and one in the later inline addition (“Della’s Pit Stop,” in my Flickr set). The mall must have hit the skids so soon after the 1987 expansion that the older storefront never had a chance to be obliterated by a subsequent tenant! I suspect that most of the inline spaces facing the ramp and staircase in the mall’s addition never opened. I echo the statement about the “original gravel floors”…I can only imagine what they look inside. I don’t know why, but Sam Goody seemed to find its way into every other dead and dying mall imaginable. That store was gone by 2006, and I’m amazed it lasted until then. Although its days as a viable shopping place are long past, Mountaineer Mall is a must-stop destination for retail historians mining the developmental artifacts of the late 20th century. I’m glad to see it get a bit of attention…it’s definitely one of a select few of its kind. @Andrew T., Lums did not sit empty after Lums left. In the mid-80s it became The Golden Ram, and The Golden Ram operated for 4 or 5 years, at least, until it closed. It was very similar in menu and operation to Lums. I worked as a waiter there when I was 18-19. I still like running to the Mountaineer Mall on some days normally just to walk around and try to remember what was there. I remember the Gap and I remember while I was young the restaurant thats across from the Subway being full of people frequently when we came to visit my grandmother. At the time my dad was unemployed just recently laid off from the mines after it collapsed and the company decided not to pursue with reopening so I never remember shopping. We always stopped cause I begged them to and so I could play on the wheelchair ramps. I loved running up and down them while we walked around the new section. With regards to Wal-Mart not contributing to foot traffic inside the mall that’s Mr. Sam to blame. Wal-Mart harassed customer entering and leaving the store into the mall. Coming into Wal-Mart with bags from outside the mall because you parked in front of their store caused for what TSA agents are doing to people now at airports. It was overwhelming and walking out into the mall and returning to finish your Wal-Mart shopping just was out of the question. It really kept the public and particularly students from walking out there. Now with the Mylan takeover I think its a huge push for the space to become more white collar than retail. I think the mall has potential to become a mixed use of business, shopping, and living. I can see if the right thing happens apartments or lofts being built on top or around the back end of the mall. It would be an interesting combo and I could see it working if the right things are done to enhance the quality of the outside and inside of the mall. @Alan, You are assuming that they WANTED the mall to remain open. It seems to me that such a big, empty space would be more of a liability than an opportunity, a white elephant if you will. I’ve lived in Morgantown now for over 10 years, and it’s been almost fascinating to watch this spot dry up, practically before my eyes. 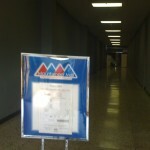 Now even the DMV has abandoned its motorcycle safety course that was hosted here in the vast, empty back parking lot. 1. I would like to know WHO posted these pictures on this site because the mall has a “no picture” policy for reasons such as this. 2. There’s no people walking in the mall in any of these pictures. We have mall walkers throughout the day so naturally you would have caught atleast one person in one of these pictures or been stopped by a maintainence personnel or security if you were taking these during business hours. If not during business hours.. How did you get in a locked mall?? 3. If a tennant were having issues with a Security personnell and it were reported to mall management the situation would have been dealt with accordingly, of that I am certain! One of the officers has been a loyal employee of this mall for 6 years and has an excellent reputation, but is not known for harrassing tennants. 4. Jager Management still owns the mall, and the mall will still remain open. Doors open 7am Mon-Sun. 6. The Illusive Skull was open for Halloween which brought a lot of foot traffic. There is an annual chili cook-off which is fantastic, during which the mall is overflowing. Subway may be gone but Cafe Lucia has extended hours and serve excellent hot drinks and small snacks. For a larger, healthy-based meal try the new “Kat’s Deli”. There is a variety of choices which include cold sandwiches and hot meals. Catos is also still open and the all of the women that work there will make your shopping experience very pleasant. Some Mylan employees are cocky enough to think that Mylan will own the mall very soon. That is unlikely, as they started construction months ago on the new Gabes and still have a lot more work to do. Why would a place that houses 2 major businesses such as Mylan and TeleTech as well as 12 other businesses(just on the upper level) close due to “liability”? 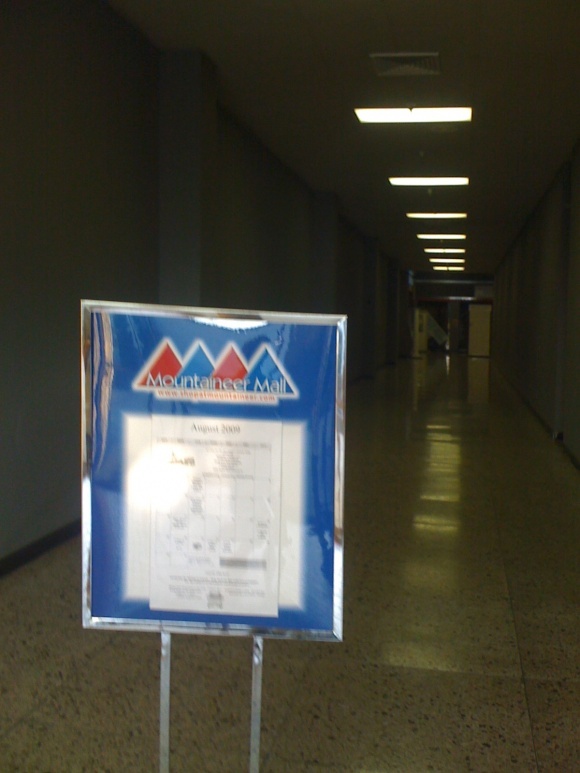 Maintainence staff work extremely hard to keep everything clean, swept, dusted, and safe for everyone. I do not know of any other mall that has their maintainence staff do such prestine job in just cleaning alone. 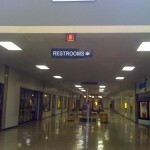 Step into the restrooms on a Monday morning shortly after the mall opens. All toliets are cleaned, scrubbed, and toliet bowl cleaner is in the toliet. Sinks, counters, and stalls are wiped down. Facets are cleaned and shined. The floors mopped. That is more than some people do for their own house!! Gravel floors huh? Not true. The only “gravel” area is a maintainence garage that is off limits except to staff. All units are finished with either carpet or tile, as things are constantly moving around to make room for new tennants. 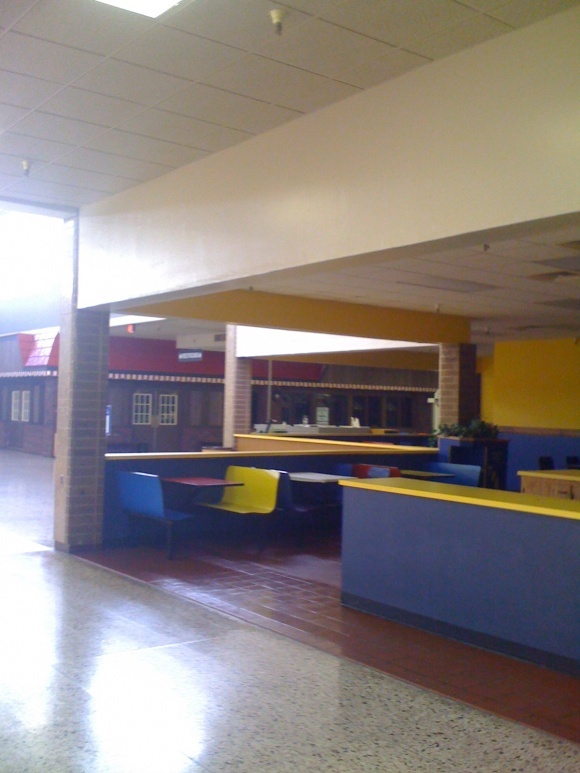 Upon inspection, these pictures were taken quite some time ago, as they are missing quite a number of the new businesses that occupy the mall now. Missing is: Kat’s Deli, Miracle Music, Illusive Skull, Fit 4 Her, Rob’s Fitness, Horizon Medical, etc. I transfered to WVU one year in the late ’90s, and I didn’t know this place existed until today. 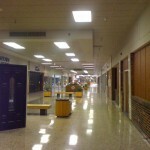 A few years back (Spring 2009), I explored the mall with a couple of my friends. It felt like walking on the set of George Romero’s “Dawn of the Dead.” It was interesting to see the few stores that were there. I remember the senior center, because there was an activity going on when we visited. 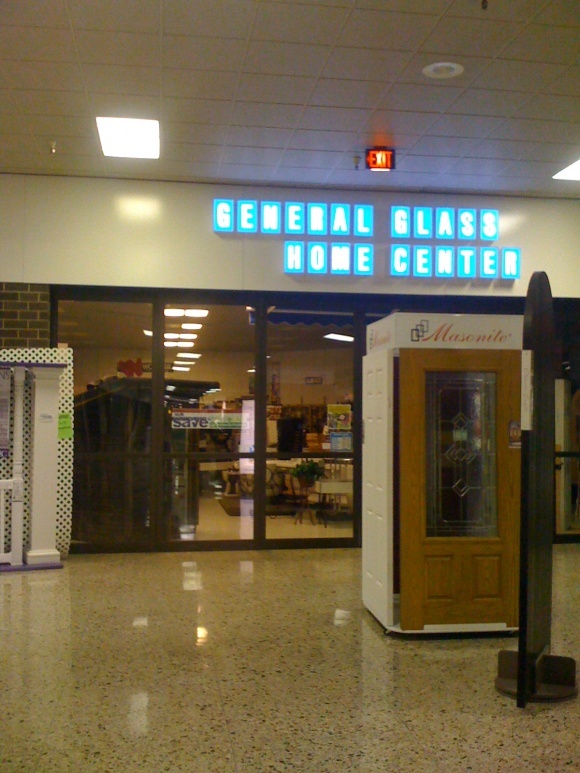 General Glass was there (I think). Those are the stores I remember, but the image that burns in my mind the most is that of a shell of a hot dog stand, basically a six by eight hole in the wall. The menu was still up (sort of) and equipment was still on the counter. Would have made a great B/W photo. 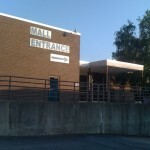 I have a few new photos of the mall as of 8-2012 while on vacation to Deep Creek and took a trip to Morgantown. I was a janitor at the MM in 1981-82 part-time. I graduated from WVU in 84. I remember dusting the floor and closing up the mall! I remember the cute girl I used to talk to at Hot Sam’s who I had a crush on. I remember Lum’s, but never remember eating there! Great memories. I believe Simon Properties owned the mall back then… the company I worked for. I watched as they painted the Morgantown mural! Amazing how things can change so quickly… thanks for this walk back in time!!! What a color scheme…That is one ugly mall. Memories… I worked in the hardware department of Montgomery Ward in summer of ’79 after graduating college, building up a fund to move to Miami, Fla., to start my career. I remember going to the Pizza Inn sometimes for the salad-bar lunch. What’s the name of the nail salon? Two of my favorite places in the mall are usually overlooked. Aladdins Castle and the movie theater. AC was in two locations that I remember. first in the old part where that doorway that has the weird archway around it and then moved to the new part. This is where I had my 4th grade birthday party. Also the movie theater I believe was in section D-10. Last movie I remember seeing there was Karate kid 3. Lots of great memories. Very weird to go back now. It’s like like a ghost mall.